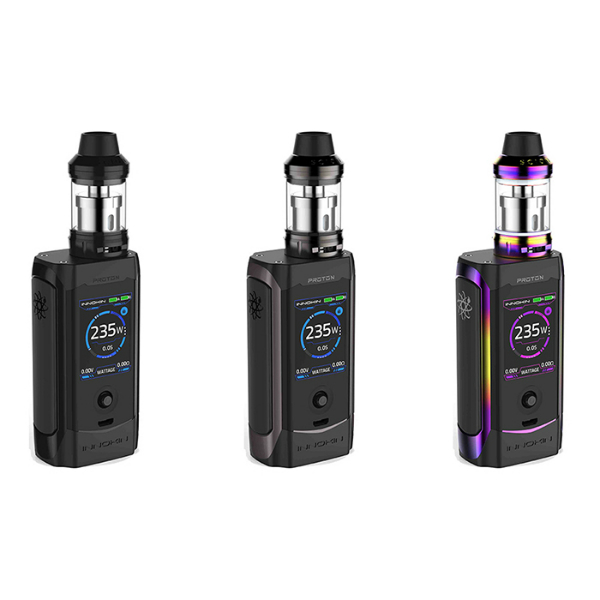 Innokin Proton Kit is ready to strike vapers with a first-of-its-kind joystick-style selector, a new powerful chipset, and a huge TFT screen. 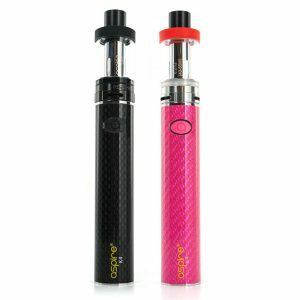 A new outstanding device has been released by Innokin – the Proton kit. It is ready to strike vapers with a first-of-its-kind joystick-style selector, a new powerful chipset, and a huge TFT screen. 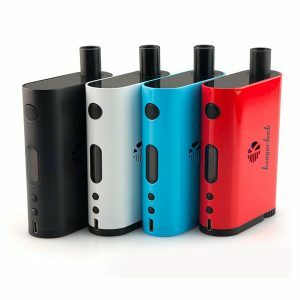 The kit works with dual 18650 batteries and adopts a brand new chipset providing 235W of power output. The joystick allows easy adjustments of your wattage by moving the button left or right with your thumb. This innovative feature makes the Innokin Proton Kit more convenient in operation. As well, it features a large 1.45-inch color display with 6 colors for your choice. Due to the onboard memory bank functions, you can further customize your vaping experience. 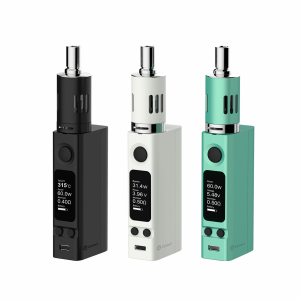 The kit includes the SCION II with a 3.5ml e-juice capacity, a sliding top-fill cap, and an improved airflow system. It uses a brand new coil called the Plexus. It is made of a whole KAL panel with aligned holes. Such structure ensures excellent stability and durability. The design of the kit is exquisite. The Proton comes in black color with different color trim. Moreover, the side fire panel is very ergonomic. In short, the Innokin Proton Kit comes to bring you the next level of quality and convenience. Try it!